The environmental benefits of ITS are something that will be explored in depth at the 25th ITS World Congress, organised by ERTICO and the European Commission. ‘ITS and the Environment’ is also a topic that holds a special significance for Copenhagen, host to this year’s Congress. The Danish capital strives to become the worlds first carbon-neutral capital city by 2025, and has embraced ITS with a view to making mobility in the city greener, healthier and safer. “We are continuously looking to deploy ITS to create green mobility. To us, mobility should be greener and smarter. It’s not just about technology, it’s about creating a better quality of life for all Copenhageners, and ITS solutions can support us here,” said Ninna Hedeager Olsen, Mayor of Copenhagen’s Technical and Environmental Administration. One way that Copenhagen is furthering its green agenda is by improving fuel efficiency and reducing carbon emissions with the multimodal ECO-DRIVINGapp and on-board unit for trucks, buses and cars. The goal is to benefit the environment by encouraging drivers to moderate their speed. Tests will be launched as soon as the technology is up and running and eco-driving will be available on half of the Copenhagen ring road, which includes parts of the city centre. The app will also be available for tests by cyclists on a shorter section of the ring road. This will be especially welcome, as using ITS to make the city friendlier for cyclists is high on the city’s green agenda. One initiative is the testing of variable message signs, traditionally used for motorised traffic, to help stimulate cycling as well. The signs communicate traffic data in real-time, directing cyclists to less congested cycle tracks. The project hasn’t been evaluated yet, but so far cyclists seem to welcome the idea. Copenhagen is also testing intelligent street lighting at five intersections in the city. These new lights are dimmed to 50% at night to reduce energy consumption. The lights are fitted with smart technology which turns them back up to 100% when an approaching cyclist is detected. This system is actively reducing carbon emissions while also ensuring the safety of vulnerable road users travelling at night. Using ITS to reduce environmental impacts is a major priority for ERTICO, a private-public partnership that facilitates the deployment of smart mobility in Europe. As part of its ‘Vision 2030’, the organisation published the ‘ITS for Clean Mobility’ position paper in 2017, outlining how ITS can reduce carbon emissions. ERTICO supports a number of eco-driving initiatives throughout Europe and focuses on ensuring the interoperability of ITS systems and on working with service providers to help define regulatory frameworks to ensure continuity of service across borders. ERTICO CEO Jacob Bangsgaard notes that his organisation is working to reduce the impact of transport on the environment through new technology and business models. “Together with our Partners, we promote electro-mobility solutions and Mobility as a Service schemes. The adoption of cooperative ITS and automation in Copenhagen is making the city more efficient and is setting an example for many other cities in Europe,” he said. 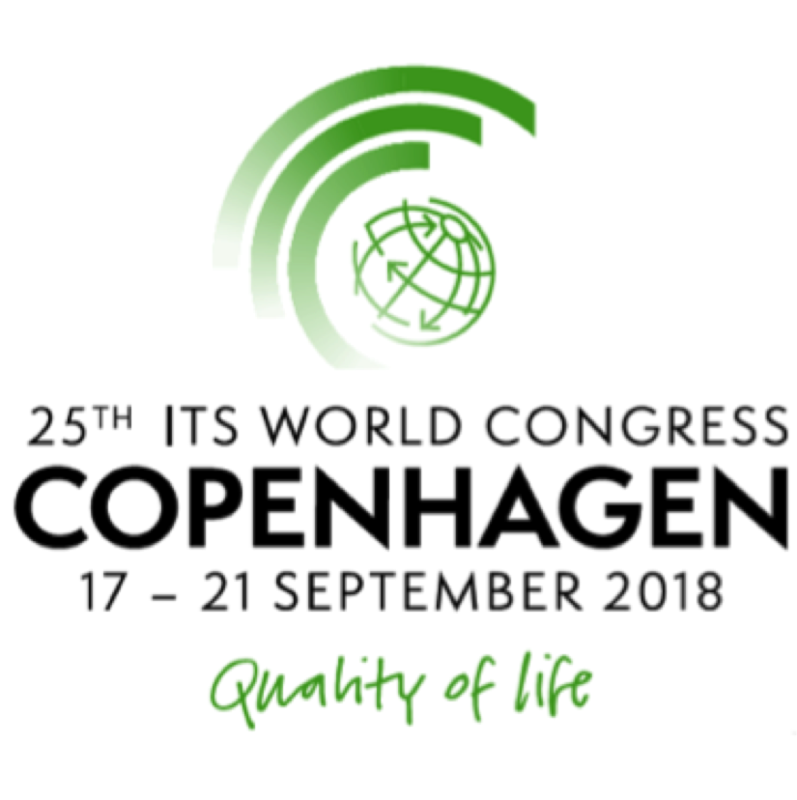 To join the conversation and learn what you can do to help create greener cities be sure to register for the ITS World Congress today! At the Congress, you will be able to experience Copenhagen’s green mobility solutions first-hand thanks to a new MaaS app, called “MinRejseplan”, which has been developed especially for the congress. The app will provide free public transportation to all delegates for trains, metros, buses, and harbour-ferries. It will also give information on private transportation options such as taxis and bicycle-sharing. PL3: What’s next for automated mobility? Relevant demonstrations include Avanti: bicycle traffic monitoring systems; Q-free: C-ITS services for bicycles; and VTT: Living Lab Bus.